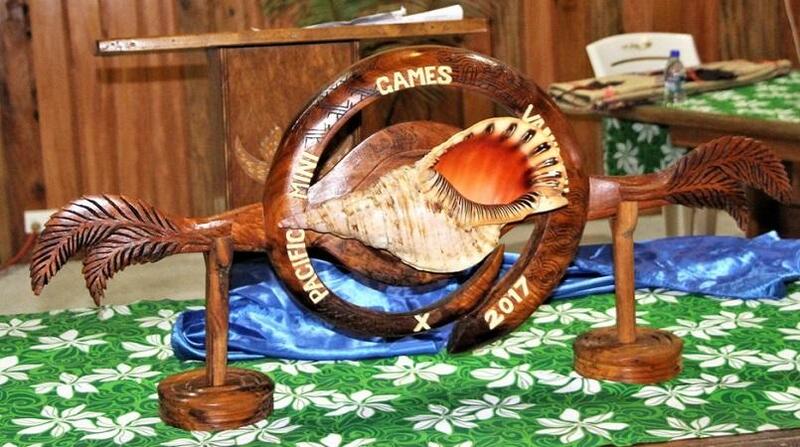 Vanuatu has revealed the kastom (custom) name for the 2017 Pacific Mini Games. Members of the Malvatumauri, Vaturisu and Fat-Kor-Pau Council of Chiefs in partnership with representatives of the Vanuatu Government, Vanuatu Kaljorol Senta (cultural centre) and Van2017 assembled in a quaint yet significant ceremony in the newly opened Nakamal Blong ol Jif for the unveiling and blessing of the “Sagoa” (pronounced Sangoa), witnessed by Van2017 Sponsors, the media and members of the public on Wednesday April 19. A group of custom dancers from Pango village led the Chiefs, VIPs, invited guests and members of the public into the Nakamal where they were warmly welcomed by MC Ambong Thompson of the VKS, who then invited Mrs Eileen Boe to give the traditional pre-TokTok blessing of an opening prayer. In his opening remarks the Minister responsible for Culture, Ronald Warsal Kalmasei, acknowledged that Vanuatu’s hosting of the Games in December is yet another milestone for the country, reflecting also, “The Games are not only about sports but about showcasing our rich culture, traditional values, the environment, healthy lifestyles and habits, social inclusion as well and above all, it is about uniting the peoples of the Pacific”. President of Malvatumauri Chief Senimao Tirsupe Mol Tarvakavat during his official speech gratefully acknowledged that this partnership between the Chiefs and Van2017 is the first time ever for them to be involved in a sporting event in Vanuatu and showed their appreciation by honoring Van2017 CEO Clint Flood with traditional gifts. Together with the Minister for Justice and Community Services, Ronald Warsal, Vaturisu President Chief Manlaewia proceeded to unveil the “Bubu Sel” followed by the declaration and acceptance of its “Kastom” name on behalf of the Vaturisu Council of Chiefs by its CEO Chief Meameadola. Chief Meameadola explained to all present that the “Kastom” name of Sagoa, bestowed upon the symbolic “Bubu Sel” (Conch shell) by the Fat-Kor-Pau Council of Chiefs of South Efate signifies “The Call to Festivities: in Unity; in the Revitalizing of long lost Indigenous traditional and cultural ties and relationships and in the Reestablishment and Resolidification of the real Peace, Love, Friendship and Joy amongst the peoples of the Pacific”. The Fat-Kor-Pau Council of Chiefs of South Efate were given the honor of bestowing on behalf of Vanuatu the name Sagoa - a name common in the collective languages of the people of Erakor, Pango, Mele, Eratap villages and Ifira Island, in their recognition of their being the indigenous custodians of the land on which the Games will take place. 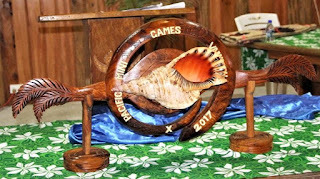 Popular sand drawing artist Edgar Hinge then revealed and drew his new sand drawing depicting the meaning of the Vanuatu Games.